VORBID PREMIERES LYRIC VIDEO FOR "ZOMBIE"
The progressive thrash metallers in Vorbid are premiering their new lyric video for the track 'Zombie', taken off their upcoming album titled 'Mind', due April 27. The band commented: "If you like face-melting thrash and sweet harmonies you'd want to check out this song!" 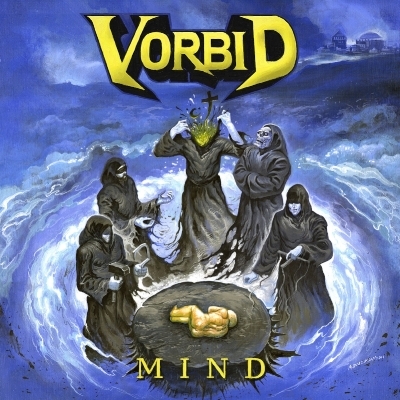 Vorbid will release their new album titled "Mind" on April 13! Vorbid has won several competitions like GBOB Norway (reaching 4th place in the Global Battle of the Bands World Final in May 2016), Massive Destruction, Rytmisk Fabrikk's talent contest, Wacken Metal Battle and Bloodstock’s Metal 2 the Masses. In August 2016 they released their self-titled EP to critical acclaim. Norskmetal.net gave it 5/6 and heavymetal.no gave it a fantastic 9.5 / 10! NORWEGIAN THRASHERS VORBID RELEASE THEIR NEW ALBUM "MIND" ON APRIL 13TH!